I remember it like it was yesterday. It was my first “official” sales job in a stereo/furniture store. Having botched my first “presentation,” my manager pulled me aside and said to me, “Doug, it’s far better to ask a question than to make a statement.” That was my first lesson – questions matter. Then I engaged in formalized sales training, where I was told that there were different types of questions. I learned that open-ended questions (those encouraging the prospect to respond freely) were typically better than closed-ended questions (those that limited the responses). In 1991, I read SPIN Selling by Neil Rackham. Reading this, I learned that there were even more types of questions, and that open vs. closed questions weren’t they key differentiator of success. Rackham introduced the world to a new model of questions and taught those willing to listen that there were high-value questions and low-value questions. The key to successful selling was to keep the percentage of high-value questions high, and the percentage of low-value questions to an absolute minimum. What was great about Rackham's work was that for the first time, there was actual research to back up the findings. Since then, I've spent almost 20 years learning more about the power of questions. There is no skill more valuable to anyone wanting to grow business than the ability to ask powerful, thought-provoking questions. I'm left speechless though, when I see just how little progress most of the sales profession has made in the area of asking questions. The only word I can use to describe 90%+ of the questions selling organizations and salespeople ask is - BORING. The only party learning anything in the process is the selling organization. Questions are based upon assumptions that (to steal a legal term) are not in evidence. The salesperson (and for this post salesperson refers to anyone selling, whether they consider themselves a salesperson on not) burrows in and attacks the customers. The question, "what concerns you about..." is actually an attacking question. The buyer realizes that by answering such a question they are giving up any power or control they may have and, in essence, they know they are about to "be sold." The questions are narrow in scope at best and myopic at worst. The questions are asked from the viewpoint of the seller, instead of being asked to mutually understand the viewpoint of the buyer (and the buyer's organization). If you come in and ask a question such as, "Explain the challenges you are having with your IT." You've narrowed the scope to IT, which is your solution. As I've written before - your solution is not my problem. The reality is no buyer has an IT problem. The problem they have is that they are failing to get a critical business result that IT should be delivering - focus on the result. The questions don't probe very deeply. Recently, I was working with a sale rep who was preparing for a major meeting. She reviewed the questions she was going to ask. An example of one of the questions she was going to ask was, "How should your performance management system work?" The problem with this question is it is based on the belief that they customer knows how the process should work. The rep needed to remember that if the customer knew how performance management systems should work - they wouldn't need the performance management consulting service the rep was proposing. Asking this type of question (which get asked all the time) is the equivalent of your doctor asking, "How should your cardiovascular system work?" They fail to create any value. 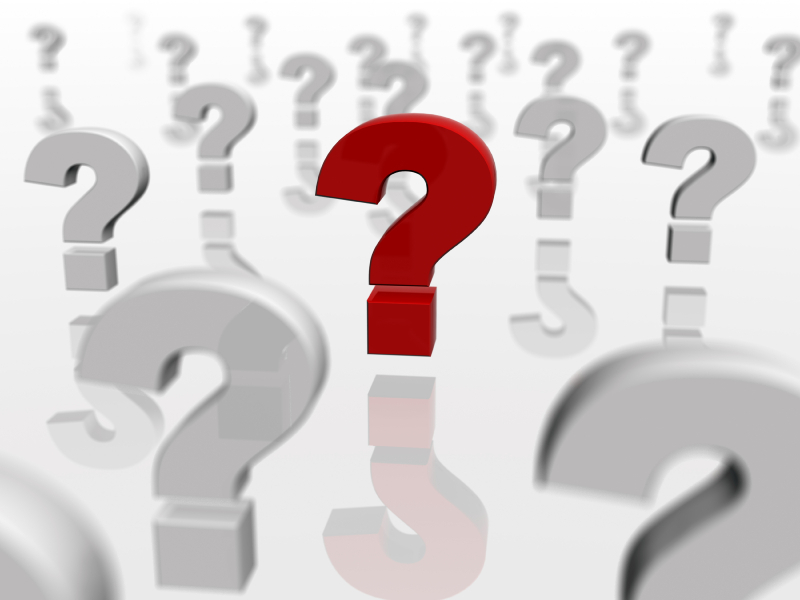 For the last 20 years, salespeople could get away with asking boring questions. With so many "fish jumping out the water," salespeople were able to "paddle their boat around and let the fish jump in." Today, it's the opposite. Not only are fish not jumping, they've gone down deep. I've written before about the drought we are in (and probably will be in for some time); and with fewer buyers, disappearing discretionary budgets and intense competition, salespeople are penalized for failing to create value. Today, if you want a buyer's attention, you must bring something special to the table - and that "special-ness" has nothing to do with your offering. Buyers expect you to know their business, their strategies, and their problems - without having to ask sales questions to get there. The person answering the question benefits from answering it more than the person asking the question. They create context. Ask any good coach and they'll tell you that the difference between average performance and top performance isn't knowledge; it's context. Top performers don't know more, they're just able to do more with what they know because they understand better. Context creates understanding. Powerful questions allow the buyer to understand their world and their issues better. Just yesterday I had a client, who utilized one of our questioning structures that we call The Belief Conversation™, tells us how fast her prospect opened up to her and bought their ideas. She was surprised how fast the trust developed and how little they had to say about themselves to earn a trusted resource status. The reason was because the questions created context that allowed the buyer to understand their needs better, and because the seller was the one who created the context, trust and action came with it. They're results oriented. Remember, nobody wants your stuff; nobody wants to buy anything from you. What they want are results; the challenge is that buyers aren't always clear on the results so they focus on the stuff - and the stuff has little value. Powerful questions take the conversation deeper. They trace symptoms to causes and explore the consequences of various actions and inaction. Buyers understand their symptoms, but rarely understand the cause, and as a result they try to treat the symptom. Because the symptom is not really the problem, no solution truly resonates and sellers get commoditized. They're asked in the interest of the buying organization. We work with a really powerful sales team, they've got everything going for them. Their people are strong, smart, and capable. Their firm has a great reputation. Their challenge is that they are not comfortable asking questions that might have answers that aren't in the seller's interest. They think that either the answers have nothing to do with them (the seller can't do anything about it) or they may open up a potential weakness in the seller's offering. While this is not unusual in the sales world, their failure to fully understand their buyer's world has limited their ability to accelerate the adoption of their higher margin offerings which they define as the core of their future competitive advantage. The great thing about Resonating Questions is that once asked the person being asked the question can't help but consider it - even after the salesperson leaves. Resonating Questions are like a great workout - while the benefit during the workout is good; it's in the time after the workout, as the body adjusts to the disruption caused by the workout, when the real benefit kicks in. So, stop asking boring questions and take the time to build powerful, resonating ones. Your buyers will reward you with faster, more profitable sales. Imagine is rewriting the standard for marketing and sales. Our processes are designed for the way modern consumers buy goods and services, not the way “it’s always been done.” Customers come to us for our innovative approach and proven success with inbound marketing.